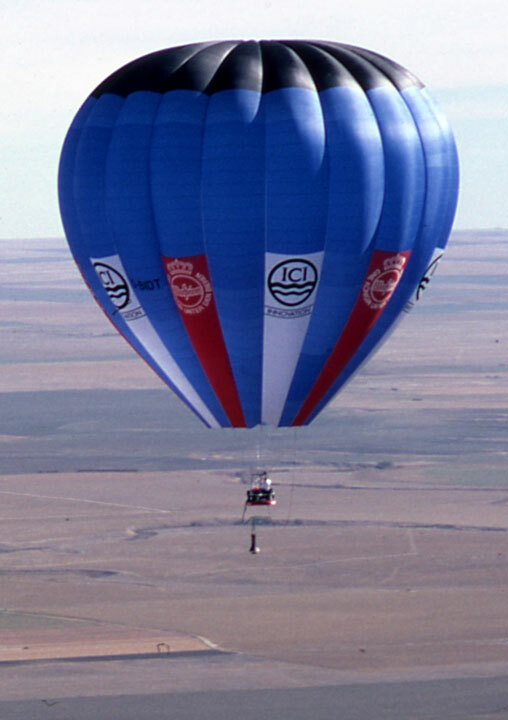 In his unequaled career Nott set 79 official World Ballooning Records, 96 official British Records and completed many other projects. But Nott stressed that record-breaking was never the central objective. “Most of all I hope to use science to advance and innovate. 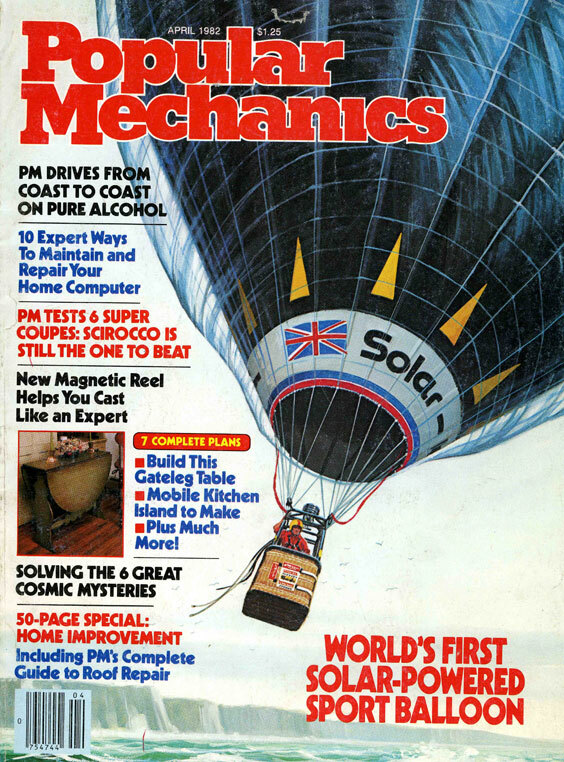 But setting a world record is indisputable proof of the success of a new design.” Indeed Nott changed the course of balloon history: for detail click here for “INNOVATIVE DESIGN” Below are just a few examples of his record breaking and related projects..
Nott piloted the world’s first Solar Balloon to cross the English Channel from Barham near Dover, England, to Nielles-lès-Ardres near Calais, France. He covered more than forty miles with the balloon lifted solely by heat from the sun. Nott set a world altitude record for class AX-7, an extraordinary altitude for such a small balloon. He flew to over 37,000 feet from Kuruman, a town northwest of Kimberly in the South African desert. 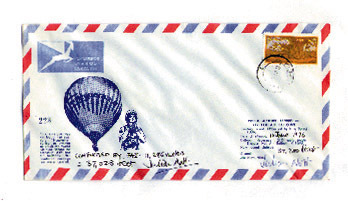 This flown envelope commemorates the flight and is a collectors piece.